Product placement will get you every time if you’re not paying attention. Welcome and thanks for choosing “our store” now let me take your hand and help you spend some money. That my friends is the invisible marketing host that just about every store not just grocery stores have in place for customers. Let me, Mr. CBB take you on a tour of what your guide will show you. Keep in mind that not all product placement is bad but it certainly is meant to capture your attention. Spend or walk away, it’s your choice. Product placement at the grocery store can be very odd and if you’re not paying attention you may miss it but your wallet won’t. Product placement is crucial because this is the silent host that speaks to you on behalf of the grocery store and entices you to buy new products or stuff you weren’t going to buy in the first place. That is of course, if you let them. By the way, where is your grocery list? Today I’m going to talk to you more about how you can say goodbye to those silent budget killers that motivate you to spend without you evening knowing it. My best tip: Being aware of your surroundings is the best way to save money at the grocery store. A grocery store is in the business to make money and to make sure your shopping experience is catering to your needs. That’s what all customers want, an excellent experience that ends with a smile. Management wants you to be a repeat customer so giving you the best deals around is part of their show. Some stores will even price match to keep you away from competitors but there is more to it than that, much more. Flyer Sales for the most part are loss leaders just to get you inside. Keeping a customer with a few good sales that competitors aren’t having is a great way to snag a customer. It’s not the only way though and for that reason many stores choose not to price match. Over the years I’ve talked about everything from the smell of fresh cookies in the bakery from an air release of a coffee smelling scent to entice customers to spend money while grocery shopping. Many people go into the grocery store to grab one item but come out with a shopping cart full. That used to be us and product placement and the way we react to them have everything to do with it. What on earth are you doing with a shopping cart in the first place if all you needed was one product? The reason is you are used to grocery shopping with a shopping cart and not a shopping basket. Some people aren’t comfortable walking around the grocery store with products in their arms so the first thing they do is grab a shopping cart. If you don’t have to pay for a grocery cart, even better because now you no longer have to fuss about looking for a quarter. Now, you watch how fast that one product will end up being a full cart if you’re not careful. This was something I noticed when I walked into the grocery store today so it’s not just product placement you have to be aware of its shopping necessities. The shopping cart is the primary vehicle to get your products to the checkout. A bigger car means more gas or in this case, more money spent on groceries. There were no shopping baskets where the grocery carts are located. The only place I typically find them are at the cash register check-out at the end of the belt before you put your food items on the belt. You walk in the grocery store and you have to go to the cash registers to find yourself a basket to shop. 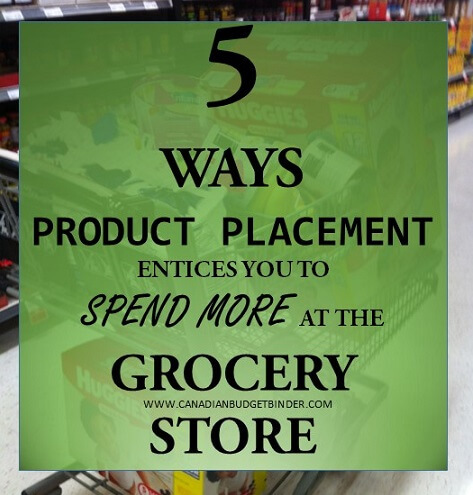 You’ve probably already passed a few aisles and have a couple of products in your hands. Mission accomplished on the stores part. They’ve just successfully manipulated you into buying something you likely weren’t going to buy in the first place and you let them. Yes, you let them. I always found that a bit odd although some grocery stores have the shopping baskets placed near the entrance but not outside or in a cubby with the other shopping carts. That means you have to hunt it down and most people don’t have time for that so they grab a massive shopping cart and away they go. See, you’ve just walked into the store and have been targeted with the grocery cart without even knowing you will be tempted to fill it. Then there is the music which is another non-placement item however it places you in the right mood to shop and spend more money. Don’t worry this all matters and I’m getting to the good stuff just hang on! Have you ever noticed that grocery store music tends to be lovey dovey? The theory, the faster the music the faster you shop, the slower the music the more you are tuned into your surroundings and take a better look at the products. Of course this all depends on time and if you don’t have the time it doesn’t matter if Maroon 5 is playing “She Will Be Loved ” or you’re rocking out to AC/DC’s “Shook Me All Night Long” you’re still going to shop faster than normal. This type of behaviour almost always means you will buy something you didn’t intend on buying because product placement is very tricky and the displays talk to your subconscious even though you think I’m crazy telling you this. It’s true…wait for it to happen next time you shop. I bet you walk around the store, read products and talk to yourself while doing it. I bet you think about all the ways you can prepare a food or when you would have time to eat it or would you eat something new. There are so many pitfalls in the grocery store because they want you to spend more money. It’s quite deceiving and why you need to be on your game to make sure you score a budget touchdown. Just so you know I have no idea how Football in Canada is played… but I can score a deal at the grocery store. Let me show you. Below are a few ways Product Placement is set out to nab your tummy and your cash! You haven’t even walked through the door yet there are sales smiling you right in the face the minute you cross from the parking lot to the sliding doors of the grocery store. When you start your grocery trip you are possibly in a good mood and not bored of shopping yet. That’s a good thing for the grocery store but they have all emotions covered with product placement. The name of the game is to keep you enthused about shopping so keeping your eyes moving is important. The minute you say that you are ready to cash out is when the store has stopped catering to your needs. Nothing else has caught your attention, not even smell. We’ve even been so lucky as to get free sausages from a Pillers Products Promo Truck right outside the doors of the grocery store. This manoeuver is smart because they not only make you happy by giving you “Free Food” now you are a potentially satisfied customer who will go and buy a package. They’ve got your tummy and the same goes for in-store samples of new products. The first thing you do when you go grocery shopping is get your shopping cart and pull out your grocery list. However if the store can get your mind rolling before this even takes place the likelihood that you will grab something to put in your shopping cart will be successful. Have you noticed how the stores take the seasonal approach the minute you walk in the door? Just about every grocery store we have been in has products for camping, BBQ’s and even beverages, marshmallows, chocolate and even Freeze Pops. You know who they are marketing to there, that’s right…the kids! The weather is probably hot and humid and seasonal products motivate you to think about an upcoming camping trip, holiday or backyard BBQ party. These products are a win-win for the store and customer. You don’t have to go looking for them now. Whether products are left outside the doors or just as you walk into the store where the shopping carts are left you are faced with the beginning of a long list of product placement strategies to get you to spend. Most often the products you see outside are for the home and garden and are heavier so product placement of these items are crucial. You are more likely to drive up and open your trunk to fill it with salt, soil and other garden bags if they are outside the front doors. The last thing you want to be doing is carting these products through the store. It’s also easier to tell the cashier you would like 4 bags of water softener salt that is on sale rather than bringing in 4 bags or even just one bag to scan. Most times the cashier doesn’t even need to scan the product depending on the Point of Sale System (POS) they have in-store all the need is a bar-code number. This system is brilliant because it tracks everything to do with a customers shopping experience. Rewards cards and other loyalty programs are a great way to learn about spending habits of customers and how product placement will better serve the store. Have a look next time when you walk through the doors to see exactly what products are staring you in the face. I bet if you are hungry like most people who grocery shop you might not think twice about tossing in those fresh-baked cookies or muffins upon entrance. If you are walking down the grocery aisle do you walk up and down it twice? Probably not because that is a waste of time on your part. You do the head spin, back and forth, left and right. Unless of course time is on your side. For most shoppers it is not, so product placement on the shelves is crucial. Depending on how tall you are you may look at what I’m about to talk about differently but for the most part the pricier products will always been in the middle shelves or at eye level. This is what they call the Bulls-eye or target area to nab the customer’s attention as does vertical shopping. Why? It makes you stop shopping to look around, up and down. If it does not then you keep on walking horizontally to see all the products at eye level and the grocery store loses business. Product placement is crucial when it comes to marketing and shelving products. Most companies will pay a premium for that Bulls-eye product placement. You may shop a bit faster when you are horizontal shopping too which I noticed myself doing yesterday when I was looking for organic tortilla chips for an upcoming party. I also tend to miss products I’m looking for and waste time going back looking for them when I shop like this. If anything it might just upset me and they lose a sale because I say, “Ah forget it” I’ll find it somewhere else. You know you’ve done that. On the bottom shelves you may find store brand products or even no-name products. On the top shelves I typically see unique products such as asparagus in vinegar or items that people don’t normally set out to buy on a regular basis. Next time you are grocery stopping note the way you shop up and down the aisles. I bet you will learn something new about your shopping habits! This is something we see all the time. Let’s use the summer for example. The other day I was in the meat department. While looking around I noticed the following products where the frozen pre-made burgers were frozen fries and veggies. I don’t know about you but that sounds to me like the making of one heck of a BBQ party don’t you think? Product placement is crucial for the shopper who doesn’t have time to look around the store. If you need burgers and are in a rush what better place to find everything else you need in one spot. I can also bet you that you will be paying top dollar for all those name brand products surrounding those burgers. Sometimes we see sale displays but not often. Don’t believe me? Have a look next time you are in the fish and meat departments and see if you can make a full meal without leaving the section. Get in and Get out! Some people hate grocery shopping and others just don’t have the time. This product placement strategy is for you. How many times have you seen a product display in an aisle and ask yourself, why it is there? It happens to me all the time. The last time I was grocery shopping I was in the laundry aisle checking out the prices on the fabric softener and laundry soap. I just happened to bump into a display case in front of the dish soap and looked down. Why would they have a display for Nutri-grain bars in the cleaning section? I know.. because everyone deserves a break when they are at home cleaning so grabbing something quick like a Nutri-grain bar is the perfect pick me up snack. You bet there were boxes missing from the display however I can’t confirm if that was another product placement ploy to make it look like others have bought this product for the same reasons you just came up with. The store is playing to your emotional needs as a customer. In the pet section recently I noticed a display of family size chocolate bars $3.99 and Minion Tic-Tacs for a whopping $4.99. Not only do these lovely displays motivate the shopper to buy something out of their zone or grocery list they entice the kids to “bug their parents“. The same goes when checking out and you are faced with tonnes of candy, pop, chocolate bars, gum and a tonne of other household products. It’s all the little things that add up and bust your grocery budget and the store knows this. 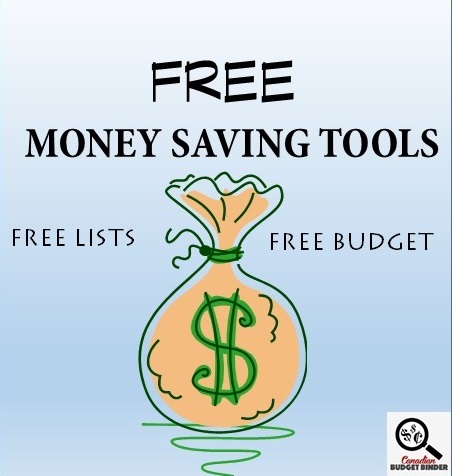 You may think they are trying to help you save and for the most part they are but with product placement you will soon realize that “You” are the reason you are spending more. You are giving in to what I like to call, “Seduction of the Wallet“. It’s a romance that you need to break otherwise you will spend more than anticipated and don’t be shocked when you see that number come up as your “Grocery bill total“. Stick to the plan. Don’t let that secret shopping host hold your hand all around the store. There used to be a time when the end cap displays were always deals but these days it’s hit or miss. I always look at the end caps because I believe I’m conditioned to do that. I would always scan them all looking for deals. These days the deals in our grocery stores are on a reduced rack and if you’re lucky on the end cap or down the aisle. Why would the store NOT put sales on the end caps? Well, let’s think about this for a second. If they put sales on the end caps the likelihood of you walking down the aisle is lowered. You now have no need to shop down the aisle if you just found what you are looking for. Why would the grocery store risk losing more business from you? They need you to shop the aisles, they want you to spend money. Most times the sales are on the end caps BUT not all of them and not all are flyer sales. It’s a ploy to make you believe that you are always getting that ‘best price‘. For example I noticed cereal the other day with a regular price of $6.99 on sale for $2.99. That inflated price is to make you believe you are scoring a deal. Unless you venture down that aisle you may not know that. Of course if you know your prices then this won’t happen to you. Have a look next time to see what the end caps hold and see if you are going to be spending. Also track whether you purchase something and if you are motivated to shop the aisle or you just move on to the next one. Grocery shopping is seemingly easy for the most part to those shoppers who don’t look outside the game of product placement and other ways the store is motivating you to spend. I’ve likely only skimmed the surface of marketing in the grocery store because I’m not a marketer but I am a customer who is aware while shopping. This means that everything I’ve explained today is what I’ve experienced. Most people have their minds on other things when they shop and for that reason the store will play to your emotions whether you are in a good mood or not. Food feeds the soul and it also keeps the store in business. Watch your wallet and tell that secret host you don’t need a helping hand because you’re a smart shopper. Have you seen any of the above while grocery shopping and does it influence what you buy? What other product placement ploys have you spotted and why do you think the store does this? We didn’t need too much this week as we have stocked up here and there the past 2 months. With the leftover money I can see us getting milk and eggs plus we still have our stockpile budget to use up if needed. I found a few coupons this week but only one at Food Basics where it has become increasingly difficult to even find these days. Soon enough…they will be gone. The gold bond coupons are two different tear pads, one insert and one magazine coupons. The chemicals at work really dry out my hands and so does stocking the shelves touching all the cardboard boxes. I do have some fabric gloves I have started to wear more when working stock and that has seemed to help a bit. Hubby found these summer toys and they were superman 😉 a must in our house and it was a pail filled with assorted toys that she can play with now and whenever we head back to the beach. I always wait and look for clearance sales to use that year or the ones coming up. Weekly Overview (your final thoughts) the Cheez whiz was on sale so I stocked up on that much to the delight of my boys. We had been out and they knew I wasn’t about to pay full price. That meant the stock pile budget has taken the hit. That is what it is there for. I still have money left for the final week so it is good. I feel like I’m moderating all Christine’s today! It’s a new post for the week. I did two that night. Plus with things running Sunday to Saturday there is overlap on the sale items…The sales here run Friday to Thursday….. Sorry if I confused you!!!! A big week, a stock up week. Went a bit over with syrup for ice cream and ground beef when going in for an FPC sale. But the syrups were normally $9 and the ground beef was on for 4.38 kg. Great prices and worth the extra. Lots of coupons this week and lots of Price Matches. Can’t be too upset with what was gotten. However, it does leave very little left for the last week of the month. Based on previous years for our July, I think we are sitting pretty at this point. It’s easy to get carried away, but I do my best to make up for it when I can. Sometimes the deals are worth it if it’s saving us somethingin the long run. That ground beef made tacos, two containers of cooked beef ready for chili when it cools down and four hamburgers. It went a long way. The syrup will last some time since.we only use it on ice cream. And what a savings. Anyhow, I am far more controlled than I used to be with the clearance, it really needs to be worth extending just a bit. I have known about these tricks for a while and you are right about them. I have my list with me always. I have to as funds are limited here and I need to find those deals and to know how good a deal those prices really are!! That comes back to knowing your prices!! I also go down the aisle and check the unit price on stuff to be sure I am getting the best deal I possibly can for the items on my list. I do go up and down the aisles looking for those deals and often find them there more so than the endcaps… I know their games and I can get around them. That’s because you are a shopping pro!! I think when people have a strict grocery budget it may be easier BUT when you know you have $50 bucks stashed here or there then someone may be apt to want to spend it or get reeled in easily but product placement and other tricks. One thing that I’ve notice is that the store I go to has the cashiers as sales people by trying to entice us to buy a “deal of the week” but my grocery budget is always spent so I haven’t bought anything they have to offer. I have also noticed these marketing ploy and can see them working. I know that if I see a product that I’m looking for in another location, I won’t be going down the aisle that it’s normally located….especially if the product is on sale. I have also noticed that as well which I think is silly to be honest. That’s to the point of being over the top. I’m sure they can come up with a better way. That’s true so they miss out on you potentially buying something down that aisle. Do you check the bunkers for deals too? Very interesting blog. I have discovered the same thing that you have pointed out in your blog. I shop at Real Canadian Super Store. Its on the more expensive side, but for me well worth the trip. I have “cheaper” grocery stores in my neighborhood, but the quality is severely lacking. I live in the Jane and Finch neighborhood. I have a No Frills on one corner and I only buy things there are not meat or fruit or veg. On the other corner I have a Fresh Co. while I love the store its bright and clean and very well stocked its very expensive and I find I don’t get enough bang for my buck. They also don’t offer any rewards, like Loblaws, I love food basics but I do not have one that located conviently to me. Both myself and the person I live with have allergies to food mine is celiac which makes shopping really expenisive, trying to find anything gluten free and a decent price is hard. I do a tremendous at bulk barn which does help with costs. The person I live with is Type 1 Diabetic, lactose intolerant, and highly allergic to tree nuts. We are both on Disability, so grocery shopping budget is very small for both of us each month, In total we have between$350.00-400.00. Within this budget includes all food items, drug store items and all cleaning products. I have become really good at only getting what is on my list and getting out fast so I don’t get caught up buying items I don’t need or really need. Why are they phasing out coupons? I don’t have smart phone or anything like that so I depend on paper coupons. I try to do as much price matching as possible, but the deals are not there as much as they used to be. 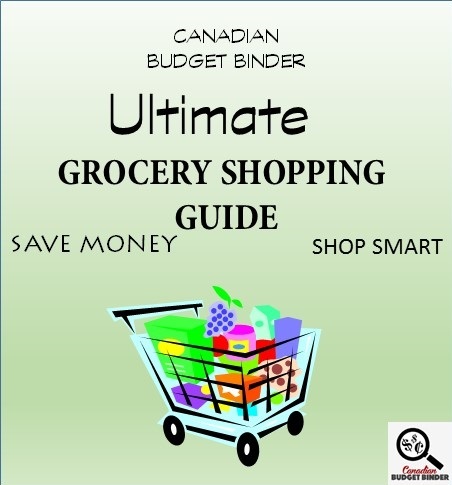 We are picky about what we buy and find lately we are shopping at Zehrs and Food Basics. Coupons have been on the decline since the introduction of coupon apps on the smartphones. Mailout coupons are far and few and finding coupons in-store are tough unless you go to a loblaws store to check the coupon board. I think eventually they will phase out. 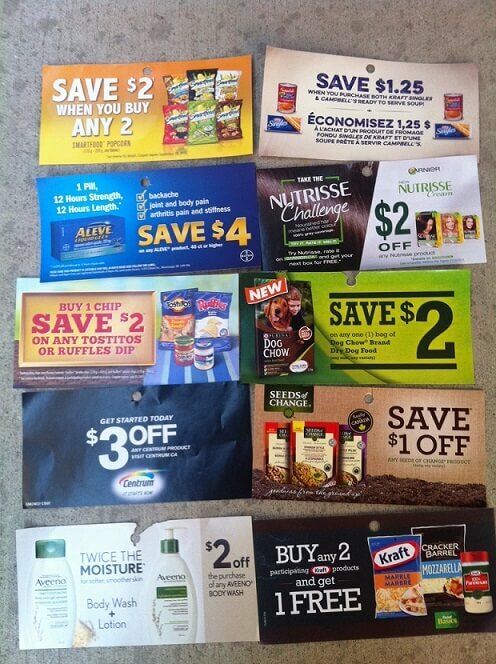 DO you use many coupons still?